Hello crafters!! It's Kate from Small Bits of Paper and I'm so pleased to be showing you a couple of birthday cards that I recently made. It seems as though negative space is all the rage right now and I've been so inspired by the many cards I've seen that I decided to use the same technique on my cards. It's quite an easy technique but one that really makes a statement. 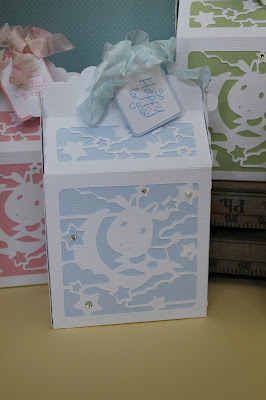 Everybody seemed especially impressed with these two cards... and they really were quite simple to put together! 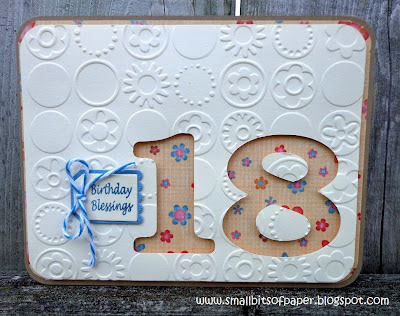 I made the first card as an extra for my daughter's 18th birthday. I used my paper cutter to cut the card base and patterned paper mat and then used my Gypsy to cut the top layer with George and Basic Shapes, with "18" cut out of the cardstock using Plantin SchoolBook. 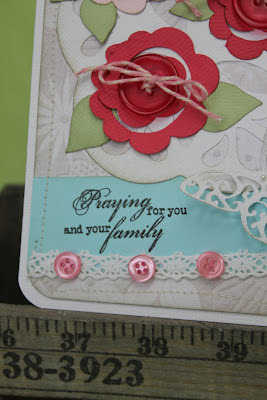 Once cut, I embossed the top layer using my Cuttlebug. I attached the top layer using pop dots to leave some space between the patterned paper and cardstock. To finish things off, I cut a tiny tag and shadow from the My Craft Spot Tiny Tags metal die set and stamped it with a little sentiment from the My Craft Spot Tiny Tags 2 set. I finished everything off with some Blueberry Blue baker's twine from My Craft Spot. The second card was made for my daughter's boyfriend. 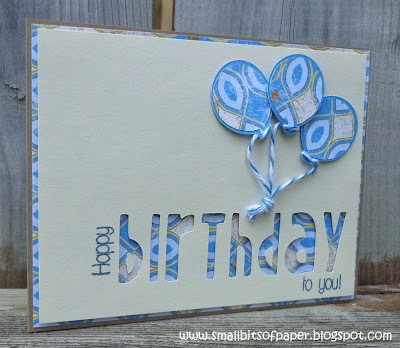 I used the same technique as I had used for Erin's card, but this time, cut the word "birthday" using Opposites attract. The little balloons are from Celebrations and tied with Blueberry Blue baker's twine from My Craft Spot. 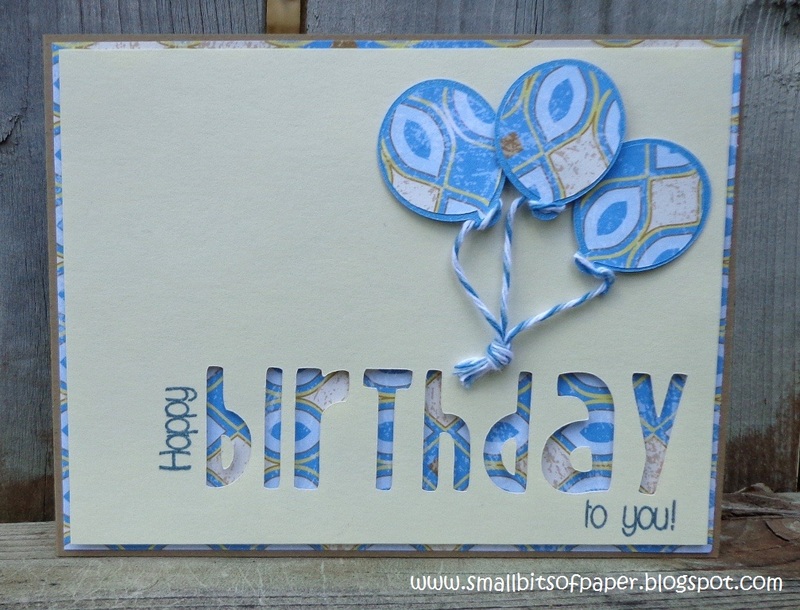 I finished the front of the card by using a stamp from My Craft Spot's Sweet Sentiments - Set #1, using some cellophane tape to cover the "birthday" portion of the stamp. If you try this, just remember to remove the cellophane prior to stamping! 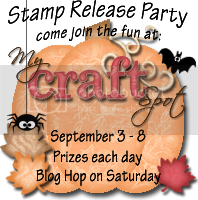 Don't forget that the My Craft Spot Fall Stamp Release Party starts on Monday - and you are ALL invited!! Check HERE for more details. 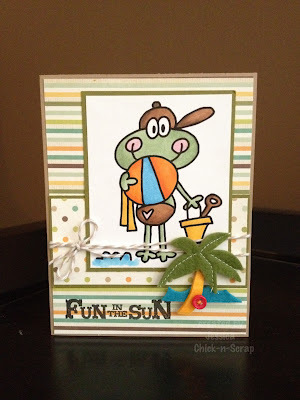 There are 2 posts for today, so be sure to scroll down to see GiGi's cute card! We had so much fun looking at all of your awesome water projects! Thanks for joining the fun!! Hello everyone! This is GiGi from The Cricut Bug. I have a card to show you today that I made for a friend's Birthday. She LOVE'S ladybugs, so this is right up her alley! 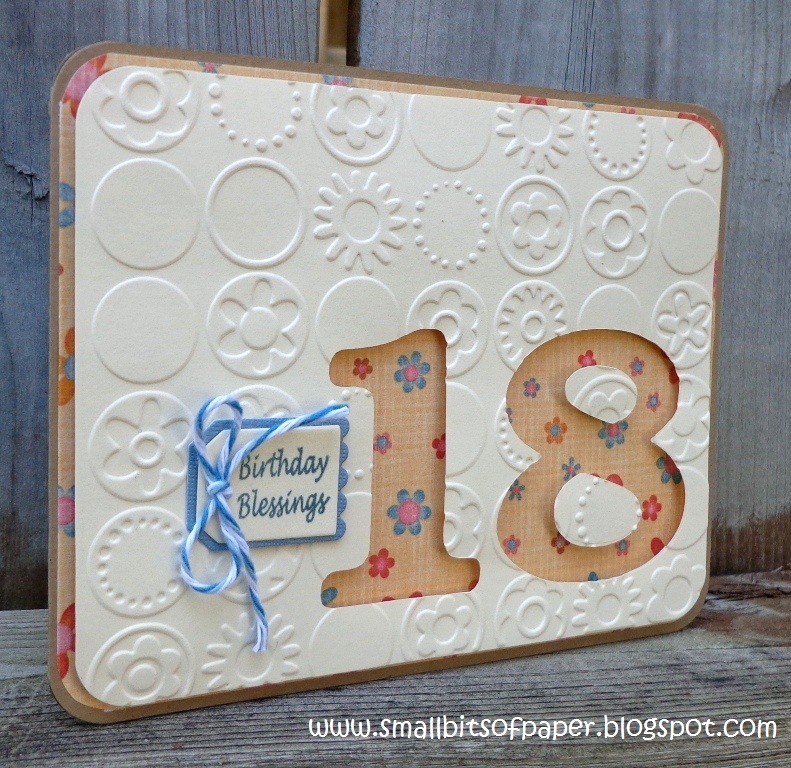 I used My Craft Spot's Tiny Tags and Birthday Wishes stamp set's on this card. I created this oh so fun banner using My Craft Spot's Tiny Tag Dies and some Black Twinery Twine! 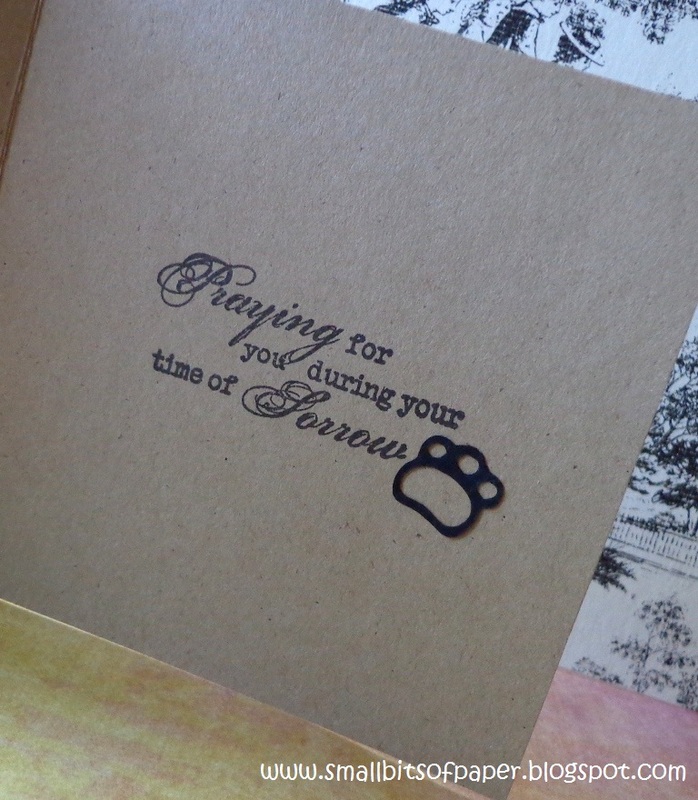 I also stamped the inside with a sentiment from Birthday Wishes. 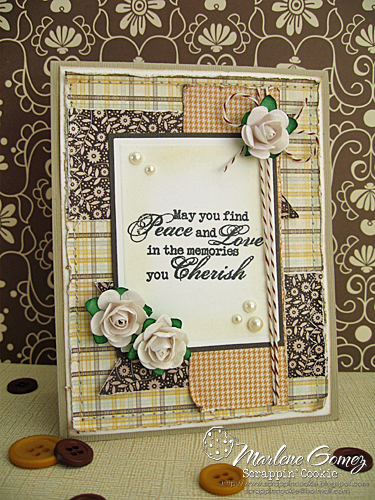 I used the sketch from the Peachy Keen challenge as my inspiration for this card. I cut the ladybug from Simply Charmed and stamped the face with a Peachy Keen face. I added Glossy Accents to the antenna, glasses, and heart and did a white stitching line. The banner I made by using the Tiny Tag Dies with simple triangle pennants over the top. I added stitching lines to the pennants and some twine. 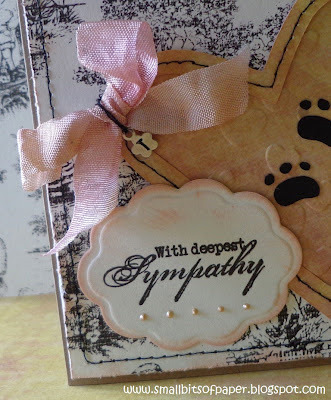 I stamped the sentiment from Tiny Tags, punched it out with a Fiskars punch, and mounted it with pop dots. 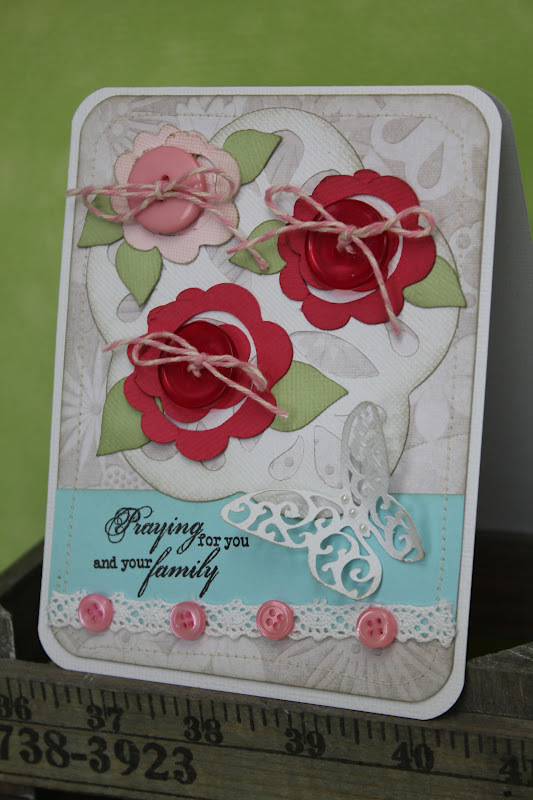 Thank you for stopping in today and if you would like to see more info and pictures of this card, please come visit me at The Cricut Bug. Have a great day! It was a beautiful day and we enjoyed it thoroughly! 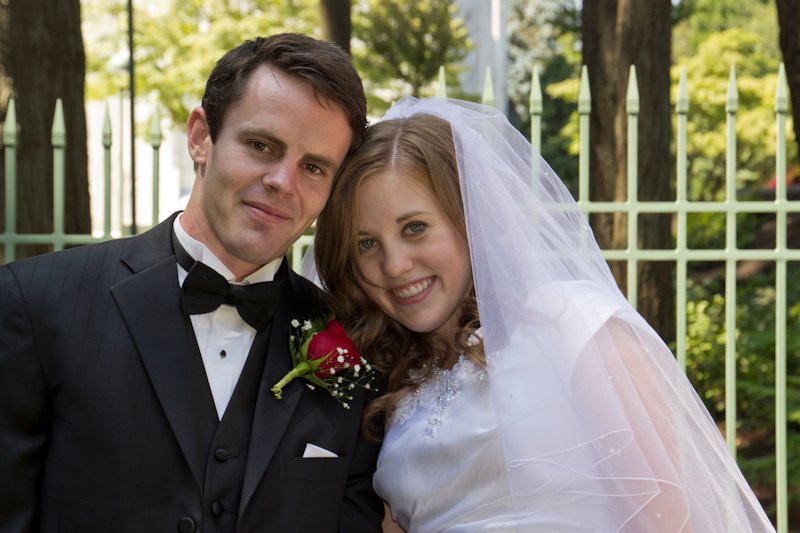 We wanted this reception to be relaxed and fun, so we decided to have it in the back yard. My very talented friend made this beautiful cake. She also built the cake table! Would you believe that each layer of this cake is made from styrofoam and then covered with fondant?! We wanted a beautiful cake, but not the cost. She made the fondant from marshmallows and powdered sugar. 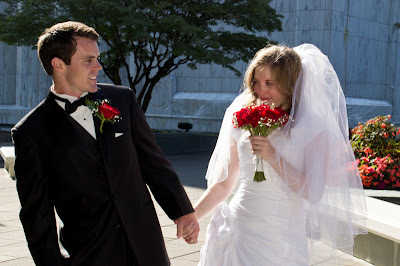 How fun would this be with the Cricut cake machine for the flowers?! This little cake is real and is the cake that the happy couple cut. It was originally going to be the top layer, but instead, we turned a small white plate upside down on top of a candlestick and then placed this tiny cake on top. I made a lot of tissue paper poms to use for decorations. Great splash of color without spending lots of $. 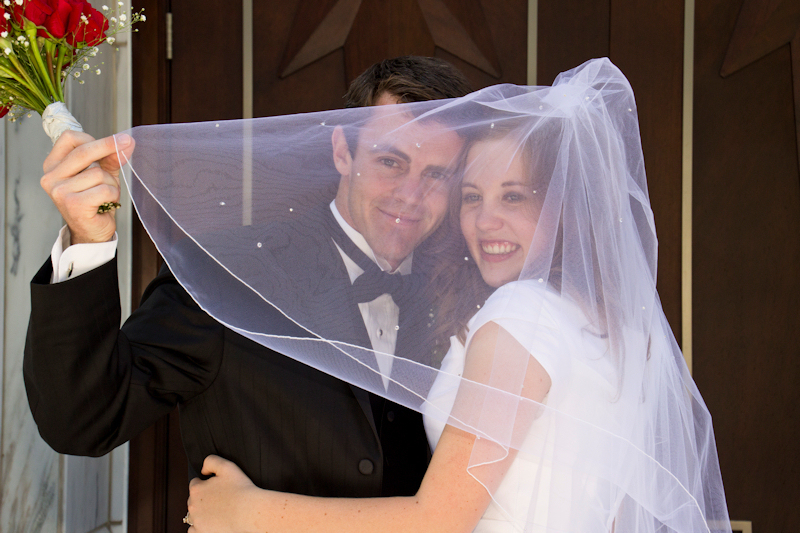 I also cut 'picture frames' using my Cricut to display a few pictures of the happy couple on each table. Another tissue pom. Click HERE to see how to make them. I used my Gypsy to cut the vinyl for this sign and tied it on with Scarlet Red Crinkle Ribbon. There goes my little girl, all grown up. sigh . . .
Hello, my crafty friends! I hope you had a wonderful weekend. Click on the button below for more info about our upcoming stamp release! Kate made this card for her mum who had to have her cat, Trinity, put down this weekend. She added a tiny "T" for Trinity on the little charm. 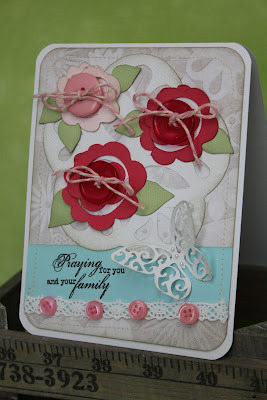 I love the beautiful simplicity of GiGi's card! The embossing and neutral colors are so calming and gorgeous together! 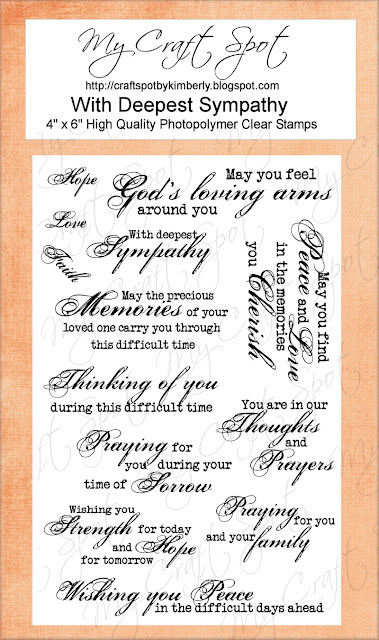 All of the sentiments are from the Deepest Sympathy stamp set. 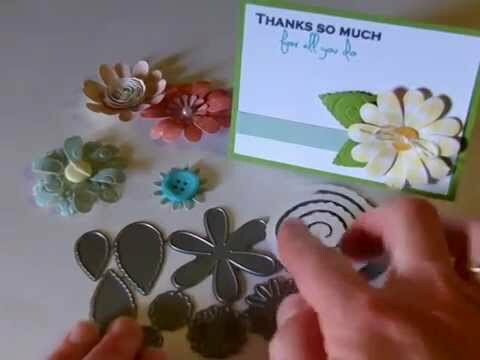 The button flowers on Gwen's sweet card are so cute and I love her delicate butterfly! 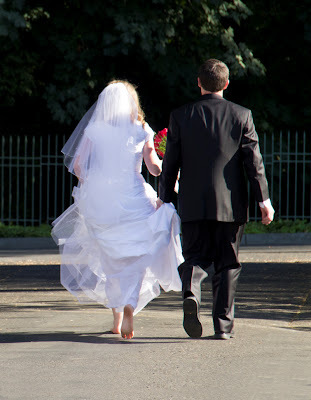 Check out the stitching and the lace - love it! Amber's cards are soooo pretty! 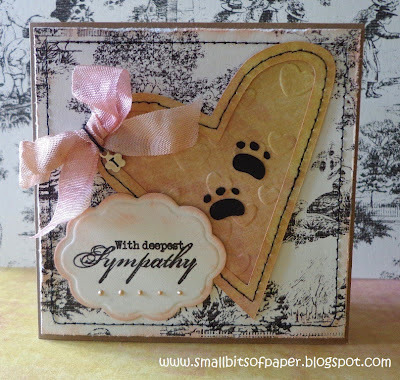 I love the patterned papers and the pretty bows! Hi, it's Gwen here, and it's my day for the Design Team post, and this is what I made. 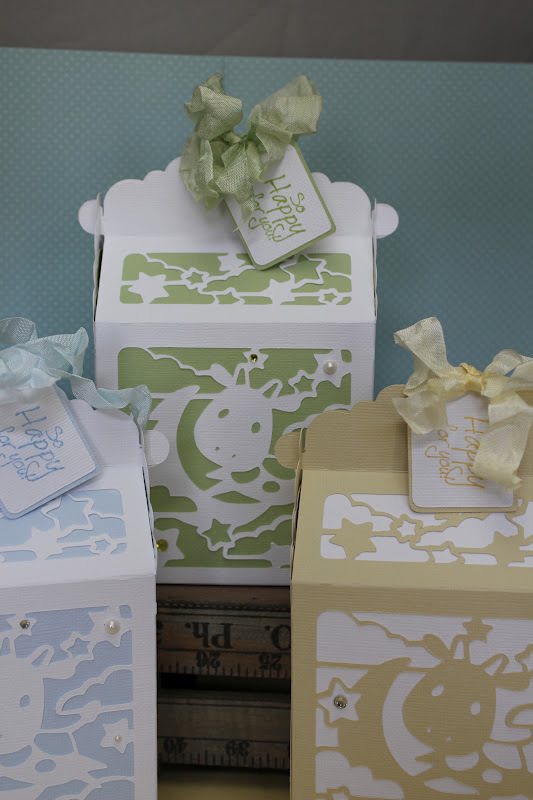 It is a digital file called Cricut Mini Baby, isn't it so cute! I just love that little cow. All the paper is American Crafts, the jewels and pearls are Stampin Up. The stamp is the New Arrival stamp set from My Craft Spot and all the ribbon is from My Craft Spot. It is Sky blue, Spring Moss, Buttercup and Petal Pink. These measure 7" tall 4.5" wide and 2.25" deep, so they will hold quite a few goodies for baby. Check out my blog here. Hello, my crafty friends! You are all invited to join the party at My Craft Spot in September! We will be celebrating my newest stamp release all week starting September 3rd! Each day you will get a sneak peek at one of 5 new stamp sets, plus a set of metal dies! My Design Team and I are cooking up lots of fun Fall and Halloween projects and ideas to share. You won't want to miss it! I can hardly wait to show you all of the new stamp sets and metal dies!!! Robin designed this cute button for me - don't you just love that adorable spider?! Want to win this fun stamp set from last year's Fall stamp release? 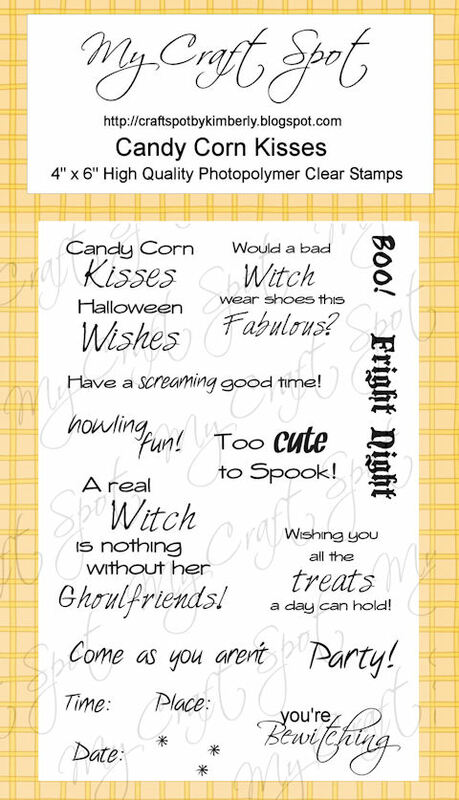 Leave a comment on this post letting me know that you have added the stamp party button to your blog for a chance to win the Candy Corn Kisses stamp set! I will announce the winner on August 31st! Hello everyone! This is GiGi from The Cricut Bug with a card today. I used the NEW Thank You stamp set from My Craft Spot. You can find it HERE. Isn't that cow adorable? LOL! I made this card using the County Fair Cricut cart. I just LOVE that cow! I cut him out and stamped the face with a Peachy Keen face. The mouth I paper pieced and added it right over his nose. The background field scene I stamped and colored with Copic markers. I paper pieced the sun and hills. I also inked blue around the white mat for the sky. To finish I stamped the sentiment from My Craft Spot's Thank You stamp set. Thank you so much for stopping by today and if you would like to see more of this card please come visit me at The Cricut Bug. Have a great day! DT post by GiGi - Plant Smiles, Grow Laughs . . .
DT post by GiGi - Happy Birthday! DT post by Kate - Birthday card for Teenage Boy! 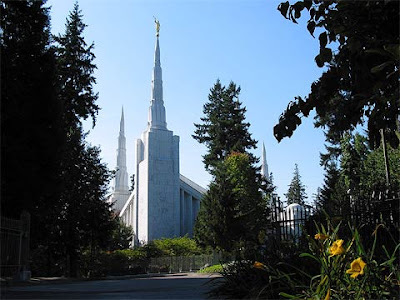 Winners from Challenge #64 - Oh Baby! DT post by Marlene - You make life sweet! DT post by GiGi - Baby Boy! Flashback Friday - more flowers! 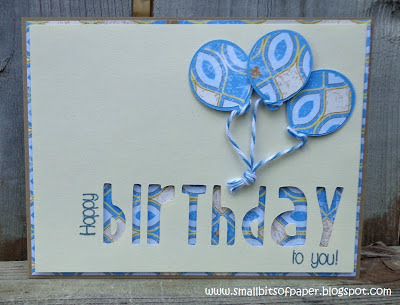 DT post by Kate - Happy Birthday to you!